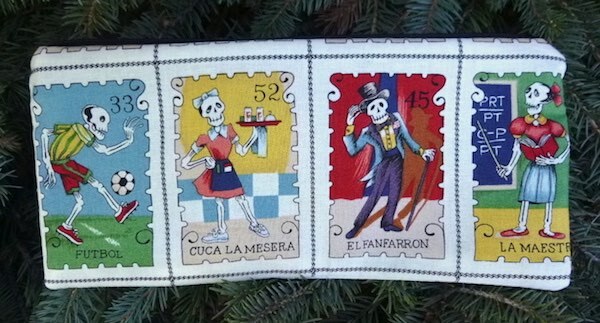 I use an assortment of Day of the Dead fabrics for my purses, messenger bags, knitting bags, and assorted zippered bags. 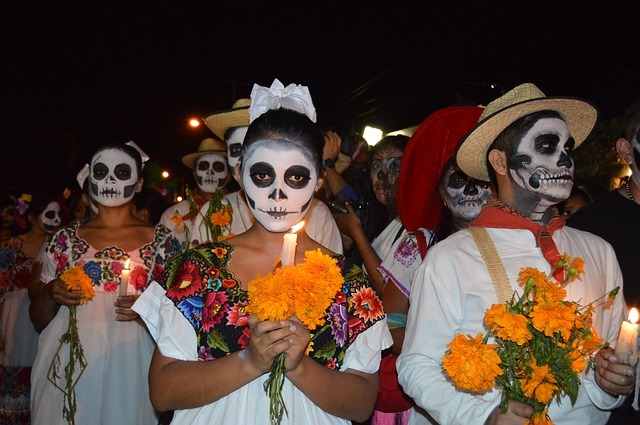 Day of the Dead, and the associated sugar skulls, has long been a favorite motif with my customers. The sugar skulls on black, and the Day of the Dead cats are two fabrics I like to keep in stock due to their popularity.